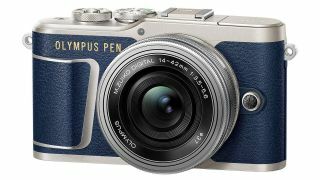 Black Friday camera deal: Save £75 on the Olympus E-PL9 AND get a free macro lens! The E-PL9 has a 16-megapixel Live MOS sensor, takes interchangeable Micro Four Thirds lenses and comes with a great selection of stylish Art Filters. It also shoots 4K video, has built-in image stabilisation and touchscreen control. The M.Zuiko Digital ED 30mm F3.5 Macro lens, meanwhile, focuses close enough to give 1.25x real-world magnification for capturing the tinies objects, but it also makes a pretty good portrait lens! By our reckoning, this combined offer saves you an amazing £325!